This year we sponsor two more orphans, altogether they are now 12. Miss Adah Tushabire kindly visited Ggaba Demonstration School and our children. Prossy, in the maize field at the school yard. The day when the balls arrived! Just planted a new sweet orange ! Please click on the photos to zoom! Mrs. Hildburg Innecken from Germany with school children. Mrs. Innecken in the classroom, Ggaba Demonstration School. Papaali (Papaya tree) after a year gives fruits. Mr. Ssebanja Vicent and Mrs. Hildburg Innecken with participating children before the trip to Wonderland Amusement Parc. In this month, we launched an income ensuring poultry programm for the destitute women from Kisenego with Orphans Alive Kampala. Our project partner and project manager of Orphans Alive, Mr. Ssebanja Vicent organised the compound for the intended use, constructed the hen coop. For the time being, we decided to purchase 25 high productive mature Kuroiler hens. Fodder for the first months is also supplied and the necessary vaccinations for healthy hens are done. Our target is to ensure a stable income for at least 5 women, assist them to self management of their own businesses. When the pilot project succeeds, we will expand it with further purchase of hens. Orphans Alive Project of Ggaba Parish Church, our children on their first school day. Our project partner Mr. Ssebanja Vicent from Orphans Alive Project of Ggaba Parish Church with children. 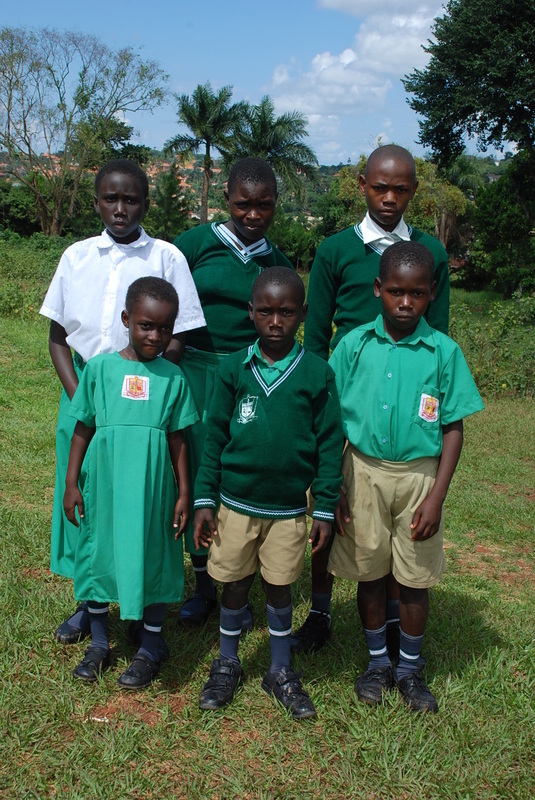 Six children from Kisenego are soon starting school ! We are very happy about the latest developments in Kampala. 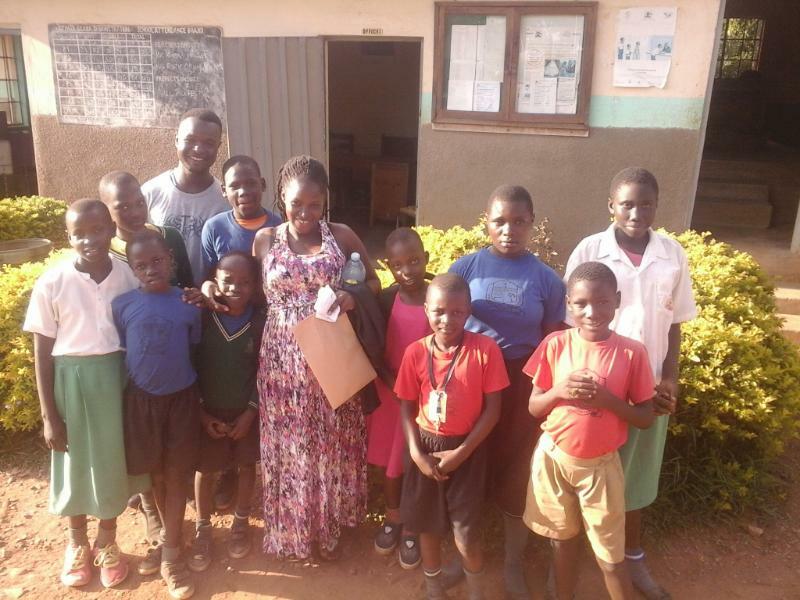 AGEDA enabled three girls and three boys from Kisenego District- Kampala the school attendance for the coming term. Though in Uganda the school fees are a marginal amount, the school uniform is obligatory and also the school materials, are often not affordable for the most needy. During her three weeks vacation, Mrs. Jane Mukalazi, our voluntary assistant from Berlin planted with the children various fruit trees, mango, avacado, papaya, passionsfuit and even strawberries on the school grounds as it was planned. She also planted cabbage for three families from Kisenego after consulting them. Our project partner Mr. Vicent Makumbi from '' Orphans Alive '' chose the first six children of most needy. He is very committed to Kisenego people's well being and he was a great assistance to Jane. We will continue sending more children to school and will be working on various income projects for the women from Kisenego. We hope to see all the trees and children thriving and prospering until our next travel to Kampala. Thanks a lot for all the support! 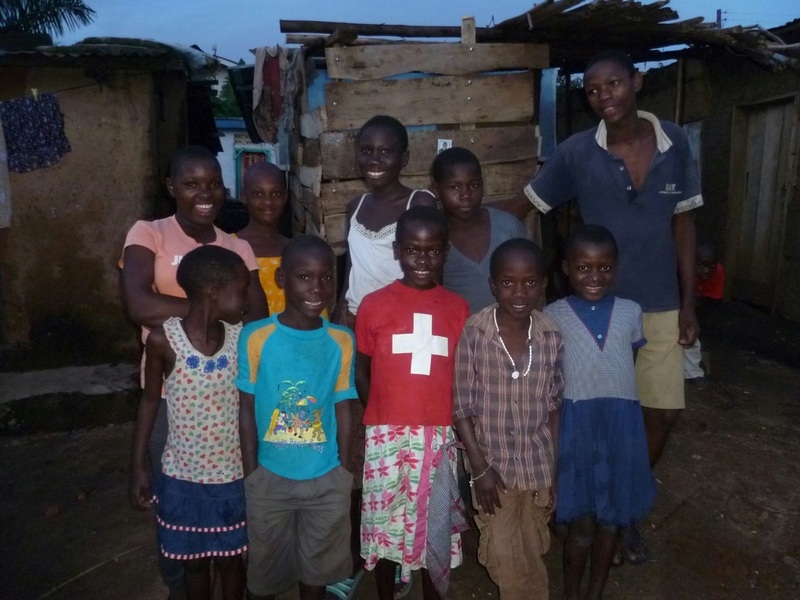 Please help us to provide the remaining 102 children of Kisenego slum.They need your donations for school access. Per year only 50 Euros for each child would be enough for the school fees and school material. We have less administration costs, therefore your donation would be directly related to a child. Lets make it happen for the children.